Notice! Q Premium Resort Hotel does not accept reservations at this time. Please try again later. Q Premium Resort Hotel Contact. This seafront hotel offers a private beach, and air-conditioned rooms with free Wi-Fi. The property includes 2 outdoor pools, 2 water slides, and a spa centre with a sauna and a Turkish bath. The rooms of Q Premium Resort Hotel are tastefully decorated with elegant furniture. They include a minibar, safe box, and an LCD TV with satellite channels. All rooms have a balcony. The main restaurant, Vogue, offers indoor and outdoor dining options. You can enjoy Italian food at Quinta Restaurant, Ottoman cuisine at Topkapi Restaurant, and Mexican dishes and seafood at Sunset Restaurant. There are also 4 bars, an Irish Pub and a patisserie on site. Q Premium Resort has a well-equipped fitness centre. You can relax with massages after a workout. Alanya town centre is 35 km from the hotel. 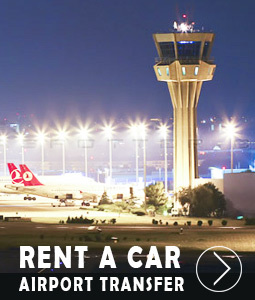 Antalya Airport is 90 km away. Q Premium Resort Hotel accepts VISA and reserves the right to temporarily hold an amount prior to arrival. Q Premium Resort Hotel accepts Master Card and reserves the right to temporarily hold an amount prior to arrival. Q Premium Resort Hotel accepts Maestro and reserves the right to temporarily hold an amount prior to arrival. Q Premium Resort Hotel accepts Bank card and reserves the right to temporarily hold an amount prior to arrival. Q Premium Resort Hotel accepts ATM card and reserves the right to temporarily hold an amount prior to arrival. Free buffet meals in the morning, lunch and dinner. Local alcoholic and non-alcoholic beverages and some foreign alcoholic and non-alcoholic beverages are free for 24 hours. The minibar is filled with soft drinks at the entrance. During the stay there is only one a la carte restaurant reserved and free of charge. Disco; Entrance and drinks included in the concept are free of charge and serve between 23.00 - 02.00. Wi-Fi is chargeable except for the lobby. The entrance to Q Premium Resort rooms starts at 14:00. The departure time from the rooms is no later than 12.00. Tesise pet is not accepted. The use of open space that serves as a test is dependent on seasonal conditions. 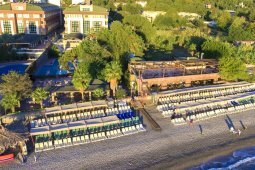 Ultra All Inclusive accommodation on premises starts with dinner and includes dinner until the number of nights stayed and ends with lunch on the day of departure. I am from Poland and together with my partner Miroslaw in late July and August 2917 I spent the holidays at the Q Premium Resort hotel in Alanya. The hotel in 2011 in the shape of a passenger ship is very good standard situated on the blue sea.Rooms tastefully furnished with glass balconies overlooking the sea. The rooms are well-functioning air conditioning and the refrigerator is refilled daily with a refreshing drink.The hotels lounge area with free umbrellas and sun loungers with a beautiful pier where you can also enjoy sunbathing.Beach bar serves from morning to evening meals and drinks.The food in the hotel is excellent everything is not tasted. The staff smile,helpful to every request,we brought a beautiful tam,a few pounds over weight and great memories. Everyone for a summer vacation. Terrible service of reception, restaurant and pool staff. Restaurant food is poor. Air Conditioners in restaurants and near elevators are off. No free internet. 1 week of internet would cost you additional $15. Hotel looks amazing and is in good condition, maybe because in build in 2011. The food is very good and maybe a bit too much, the drink is enough for all tastes, starting with Efes beer and ending with fine cocktails, and you can also buy imported drinks. I recommend you do not drink beer in plastic glasses, I found with stupor to the end of the stay that these disposable glasses are tight, washed and reused! The rooms are clean, but if you leave the tip it will be even cleaner. 90% of rooms have sea view and all have balcony. The swimming pool, beach area and pontoon look good, the sunbeds are ok and are plenty for everyone. If you want a canopy you have to pay a 20euro tax for a day, this is a minus in my opinion, I came to all inclusive! Sunbeds can be booked with the beach towel, the pool opens at 7 o'clock and towels are only received after 9 o'clock, something is not ok here ...;) A great minus for this hotel is the staff, bartenders, waiters, maids, receptionist, only few talk english, most of them wait for a tip before doing anything for you, maybe because of the majority of tourists who are Russians and throw away money without worrying about it. Another great minus is the speed of internet connection that is almost unusable, but for 15euro you can have a slightly more decent speed during your stay, All inclusive is not always All inclusive! Another thing I was disturbed about is the outdoor sanitary group that served the pool and the beach, too small for 800-1000 people and that was cleaned only once or twice a day (See the 6-hour unclean men's toilet photo, smell cannot be photographed). I also talked to some tourists who had been to this hotel few years ago and who told me that the problems discovered did not exist in the past I hope that the hotel manager reads this review and takes the necessary steps to remedy the issues raised above. I came to this hotel based on the reviews I read before but honestly I am a little disappointed and I do not think I will come back in this hotel again! Wine and fruit basket are offered. The room is decorated.